"Another satisfying installment in this series for newly independent readers." "--School Library Journal "
Miss Cherry is out sick, and Iris's grandpa is the substitute teacher Iris loves being the special helper on Grandpa's first day in the classroom. 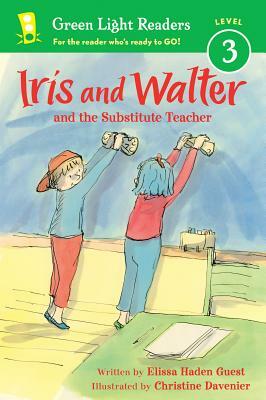 But when her teacher is absent again, Iris discovers that sharing Grandpa with everyone else in the class is much harder than she thought it would be. Expressive full-color illustrations help move newly indepedent readers seamlessly from one easy-to-read chapter to the next.